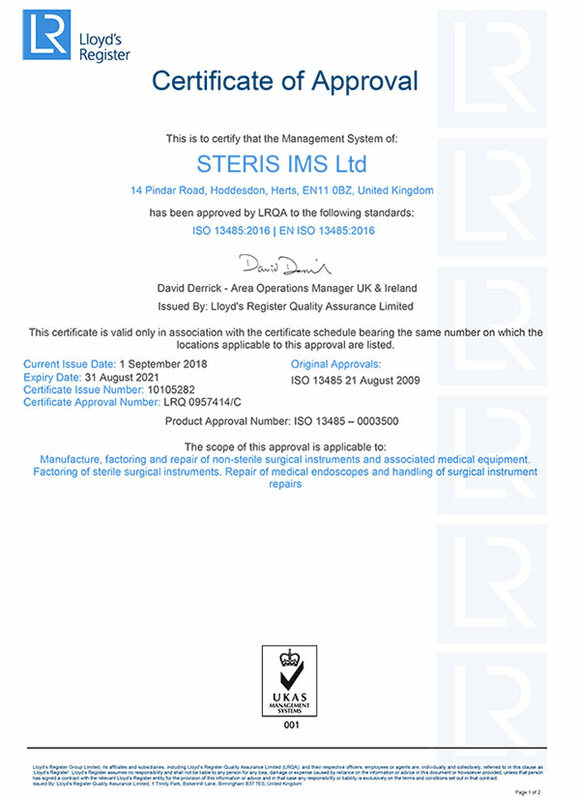 At STERIS Instrument Management Services, we take pride in ensuring that all our instruments are manufactured and inspected to the highest possible standards so that our Customers can have confidence in every purchase. 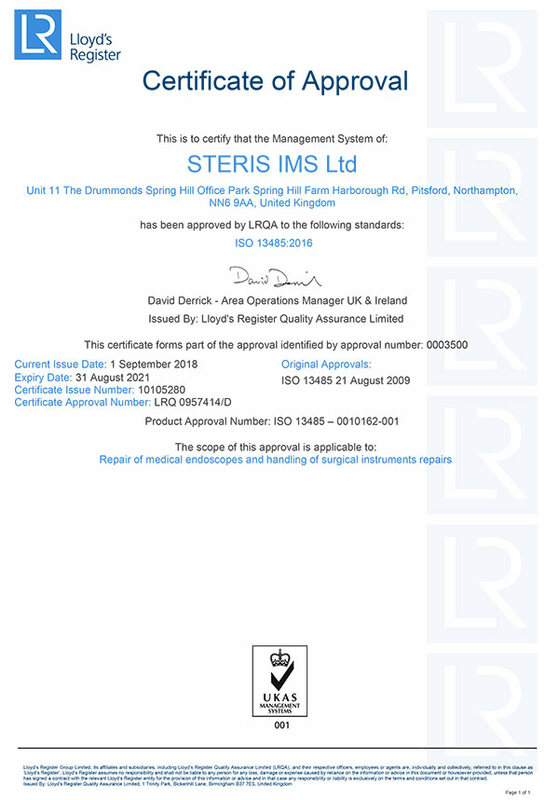 The manufacture of our instruments and our repair service are controlled by our Quality Management System which is approved to QMS standard EN ISO 13485. We also meet the requirements of Annex II of MDD 93/42/EEC. 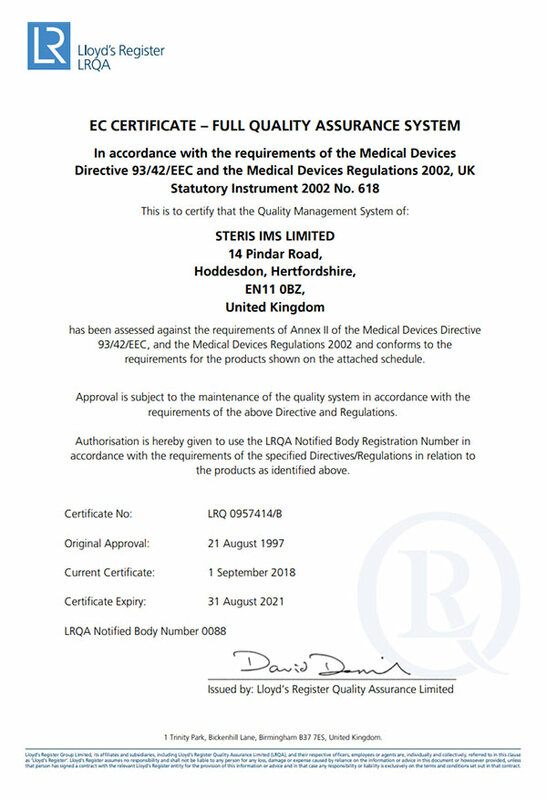 In addition, our electro-surgery (monopolar diathermy and bipolar) instruments have been independently tested to IEC 60601-2-2 Medical electrical equipment Part 2: Particular requirements for the basic safety and essential performance of high frequency surgical equipment and high frequency surgical accessories. We take the principles of ethical trade seriously and have been successfully assessed to LSAS Level 3 ensuring the fair treatment of workers and safe working conditions throughout our supply chain.